Morphou, which means in Greek ‘beautiful’, is also known as Güzelyurt – ‘a beautiful country’ in Turkish. Those names describe the area perfectly- the scenic harmony of all tones of green in Guzelyurt and its environment rich with citrus groves and subterranean sources, give the impression of an authentic peaceful countryside. Güzelyurt is famous for being the richest agricultural area in North Cyprus; you can find more than 50% of citrus trees here! According to the fact of being the biggest supplier of oranges, mandarins, lemons and all the other kind of citruses, every year there is a popular Orange Festival organized, lasting for 2 weeks! If you would like to be a part of that spectacular event, you should visit TRNC in June. The remarkable church of St. Mamas originally from the 15th century is now an icon museum, in which you can make a wish and see the patron of the tax avoiders riding on a lion and saving a sheep! The archeological museum next door hosts the exhibition of the gold treasure “The Golden Leaves of Soli” found in the tombs of the antic city of Soli. The history of the Soli dates to the 11th century BC. The name Soli derives from the famous Greek Philosopher and legislator Solon. The Basilica was constructed in the second half of the 4th century AD and was one of the first churches to be built on the island. The Basilica also harbours the famous “Opus Tesselatum” swan mosaic of Soli. Vouni Palace was constructed in the 5th century BC by the Persians and it was said to consist of 137 rooms including administrative sections, bedrooms, storerooms, offices and bathrooms. A wonderful 360 degree panorama view awaits every visitor. On the road to Korucam, you’ll come across Mavi Kosk or Blue House.The house of the advocate of former president Makarios built in the 1950s, Mavi Kösk is located inside a military area, but can be visited by tourist especially interested in contemporary history; here you can also drink the cheapest coffee in Cyprus in the military run garden kiosk. In Kormacit still live approximately 150 Maronites who mostly speak Greek and Aramaic. Belonging to a Lebanon based branch of the Catholic Church, which changed from its orthodox faith when it came into contact with the crusaders in the 10th century. 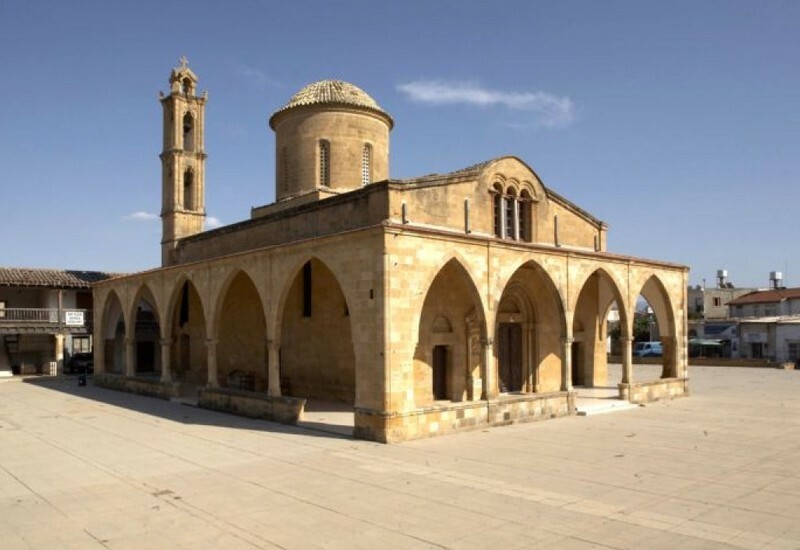 The Church of Kormacit is dedicated to St. George, an important patron of the Maronites. Opposite the church you’ll find their restaurant which is famous for its lamb Kleftiko among the whole island.